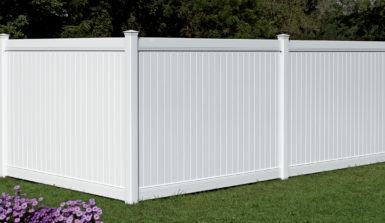 Adding quality fencing to your yard in Glen Carbon, Illinois can afford many benefits. For one, a fence can provide added privacy and security for your yard, helping to keep children and pets safe in the yard while also keeping out pests. Fencing can also help define and decorate your yard, making your plot a standout beauty in the neighborhood. Vinyl – Made by an industry-leading fencing manufacturer, CertainTeed, our vinyl fences are more durable than comparable products and resistant to fading and discoloration over time. Aluminum – Our aluminum fences undergo an 11-step powder coating process to prevent flaking and have no visible rivets or screws for a flawless finish. And, to better protect your children and pets, these fences can have two inch spacing between pickets instead of the traditional four. Western Red Cedar – This wood fence option will warp far less than traditional treated lumber and resist cracking over time. 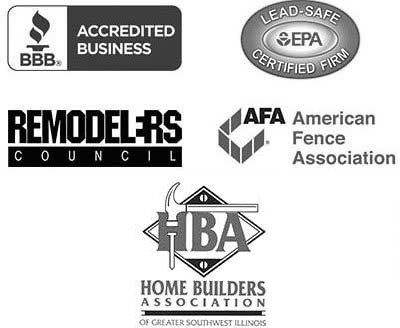 All of these incredible fencing options are installed by our own employees, never subcontractors, to ensure that the fence is installed according to our strict standards. And our trained and certified installers can also help customers choose the right product to suit both their style preferences and budget requirements and place it in any configuration they desire. For more information on all the fencing options available to homeowners in the Glen Carbon, IL area, contact Chesley Fence & Deck today.